Most Baconians are familiar with the symbolism of Shake-speare as Pallas Athena the Spear Shaker, but the name has another, more concealed meaning. In Syria, where the cult originated, Kidhr is equated with St. George (who is the patron saint of England). According to Idries Shah, The Order of The Garter in England (whose patron saint is St. George) derived from the Sufi Khidr Order. Sufis have sometimes rendered Shakespeare in perfectly correct and acceptable Persian as Sheikh-Peer, “The Ancient Sage.” William Shakespeare, and Miguel Cervantes, both of whom Bacon utilized as his masks, are recorded as dying on the birthday of St. George. In the Anatomy of Melancholy, when referring to “that omniscious, only wise fraternity of the Rosie Cross” Bacon names their head as “Elias Artifex, their Theophrastian master” and then describes him as “the renewer of all arts and sciences, reformer of the world, and now living.” Since, the Great Instauration, (the renewal of all arts and sciences), was Bacon’s work, the implication is that Bacon himself was head of the Rosicrucian Fraternity, and that Bacon was Elias who was Kidhr, The Green One, the supernatural figure who is the hidden guide, and patron of the Sufi Orders. 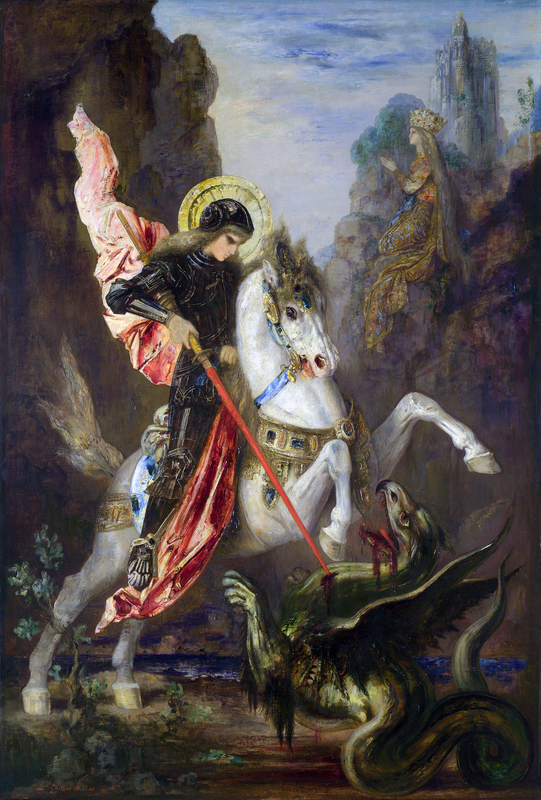 What Lies behind the mask of St George? Most modern researchers believe he never existed as a historical character, and yet he is still revered throughout the world as an inspirational guide and spiritual power. The truth is that he is far older than we might imagine, pre-dating Christianity by many thousands of years. He has powerful links with the enigmatic Green Man and also the Knights Templar who understood the mystical traditions of those former times. Is he really an ancient God of the Earth from the very beginnings of time? This quest to discover the real St George leads to Ancient Egypt, the Holy Land, the megalithic temples of Britain and Ireland and the churches and cathedrals of Europe. It is the story of human evolution from the earliest times, and includes the rediscovery of a science of the forces of Nature, symbolised by the Dragon.